Sleep apnea is a scary thing that most people think is the problem of “other people.” That’s right — most people don’t know they suffer from obstructive sleep apnea (also known as OSA, the most common form). All they know is that they snore loudly and seem tired all day long, even after having what they thought was a good night’s sleep. Obstructive sleep apnea increases a person’s chances of having a heart attack, stroke, even a car wreck. Dr. Sorensen treats obstructive sleep apnea with oral appliance therapy. Sleep apnea is a sleep disorder that is estimated to affect over 12 million Americans. When a person sleeps with sleep apnea the soft tissues in the back of their throat — the tongue, tonsils, sidewalls of the throat — sag or slide backwards and block the airway stopping the person’s breathing. When the brain senses this it awakens the person, making them take in air, often with a snorting sound. The interruption is so brief the person usually doesn’t remember this in the morning, and it can happen dozens, or even hundreds, of times each night. 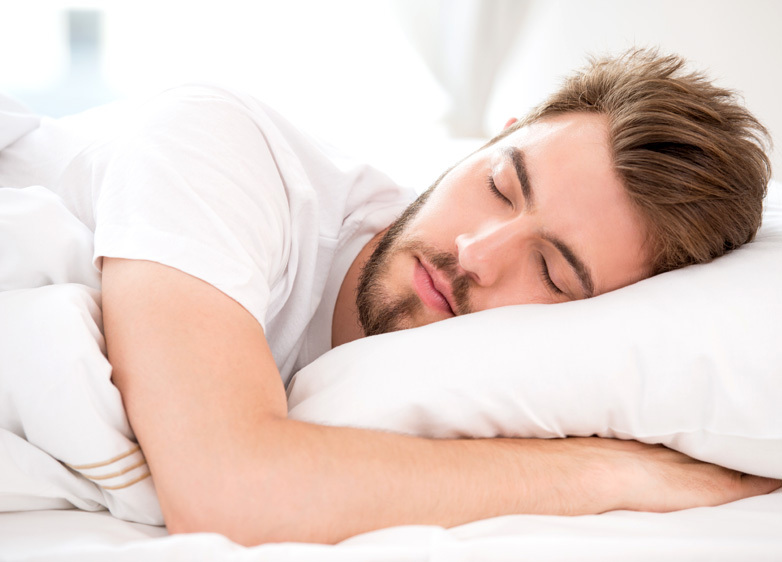 How Can Dr. Sorensen Help With Obstructive Sleep Apnea? Dr. Sorensen has extensive training in sleep apnea and its treatment. He is a member of the American Academy of Dental Sleep Medicine. He treats the most common form of sleep apnea, obstructive sleep apnea, through the use of customized oral appliances. How Does Dr. Sorensen Diagnose Sleep Apnea? Training and experience are crucial to the proper diagnosis of sleep apnea. Dr. Sorensen weighs a combination of symptoms such as fatigue or waking up with a dry mouth and throat, along with input from your partner as to whether he or she often hears loud snoring or choking noises while you sleep. In most cases, he’ll have you keep a sleep diary for two weeks. This will include information about what time you went to bed each night, when you woke up in the morning and how many times you woke up each night. From there, he may recommend either a home sleep apnea test or an in-lab overnight sleep test. High blood pressure — Sleep apnea wakes you up over and over during the night. This stresses your body, activating your hormone systems. This raises your blood pressure. Type 2 diabetes — Sleep apnea is common in people with type 2 diabetes. When your body doesn’t get enough rest through sleep it can’t effectively handle insulin. Oral appliance therapy is effective for patients with mild to moderate sleep apnea. The goal in this therapy is to move the lower jaw forward during sleep, keeping the tongue and other nearby tissues from sagging backwards enough to block the airway. Oral appliance therapy uses what is similar to a sports mouth guard or orthodontic retainer. The patient wears it while he or she sleeps. The appliance supports the jaw in a forward position to help keep the airway open. The American Academy of Sleep Medicine believes that oral appliance therapy is the best option for those with mild to moderate sleep apnea. Dr. Sorensen has extensive experience with this therapy and the wide variety of available appliances — there are over 100 FDA-approved oral appliances! He can help you find the option that works best for you. Dr. Sorensen proudly serves patients from Ponte Vedra, Palm Valley, Jacksonville, and Nocate, FL and surrounding areas suffering from Sleep Apnea. Contact Blue Water Dental of St. Johns at (904) 395-7771 or Request An Appointment today.